A little Autumn humor for us. 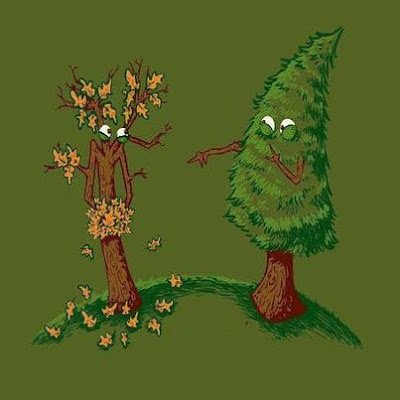 Poor deciduous tree, those evergreen's can be such bullies. Do you send cards during the Holidays? Keep those piggies cozy with Jefferies Socks! Fisher Price Peppa Pig toys come to Toys R Us! Kellogg's Cereal- Start Simple, Start Right! Perfect cups for little hands! Early Bird Special from Night Owl Paper Goods!